Ava DuVernay didn’t pick up a camera until she was 33. Working as a publicist, she simply observed the figure of the director, candidly admitting to thinking that “If that guy can do it, I can do it. He’s not that much smarter than me”. 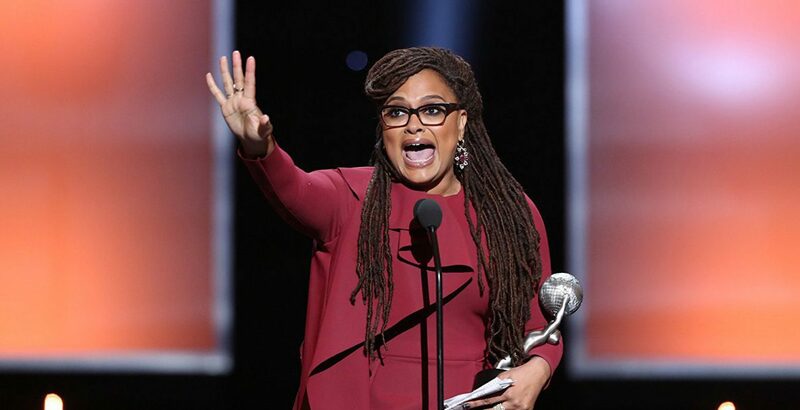 12 years later and DuVernay’s next film, A Wrinkle in Time, is the first live action film with a $100 million plus budget to be directed by a black woman. She is certainly a director worth knowing. In Selma, and all her films, DuVernay seeks to bring nuance to stereotypes and visibility to the concealed. I remember watching Selma and finding the film so affecting that when the credits rolled, no one in the theatre moved, everyone sat in stunned silence. Indeed the story of the movement to secure African-American voting rights was a critical hit, earning Oscar nominations for Best Picture and Best Song but none for directing or acting. DuVernay and Oyelowo’s absence did not go unnoticed, prompting the now famed #OscarsSoWhite campaign. Following the success of Selma, DuVernay continued to explore issues of systematic racism in the documentary 13th. Released on Netflix, the film focuses on the evolution of the American criminal justice system, mass incarceration and race. It is illuminating and devastating in equal measure. Ava’s choices have ensured that she is not limited to a singular medium, and over the last three years she’s directed commercials for Apple, created the drama series Queen Sugar and more recently helmed Jay-Z’s music video for ‘Family Feud’. When the opportunity to direct A Wrinkle in Time came DuVernay’s way, she was fully aware of it’s rarity, “Women directors, we’re not getting people just saying, hey let’s talk about this $100 million sci-fi epic”. Granted a position to create and shape new worlds, she ensured that those who inhibited them represented our own. Speaking of her diverse cast she simply states “I just wanted a cast that reflects the real world and we’re not doing anything that shouldn’t have already been done. The question is, why hasn’t this been done before?” DuVernay asks an important question. For years the young heroes that occupy our screens and imaginations have reflected a minute section of society. DuVernay’s A Wrinkle in Time ensures that those who aren’t granted constant representation can see someone like them as the hero. An adaptation of Madeleine L’Engle’s novel, the film tells the story of outcast Meg and her quest to find her scientist father after his disappearance. Staring, Oprah Winfrey, Reese Witherspoon, Mindy Kaling and newcomer Storm Reid, it is naturally the subject of much anticipation, with many expecting the film to have the same cultural impact as Wonder Woman and Black Panther. In the hands of Ava DuVernay, a groundbreaking and fearless filmmaker, it’s certain to make a splash. Ava DuVernay did not attend film school. She was an intern for CBS News. She founded ARRAY, a grassroots distribution company that focuses on films made by people of colour and women.